Have you been thinking about becoming a certified diver, but don’t have much time during your holiday? 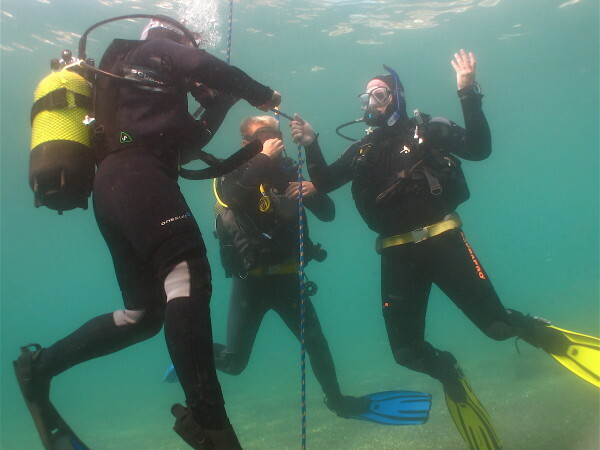 Simply Diving Spain offers a fast and easy PADI Scuba Diver course just for you! The PADI Scuba Diver course is a two-day course that will teach you the fundamentals of scuba diving, dive equipment and scuba techniques. The PADI Scuba Diver course is the first step in obtaining your PADI Open Water Diver certification. After completing three shallow water skills sessions, three theory segments and making two open water dives in the Mediterranean, you’ll be able to dive all over the world under the direct supervision of a PADI diving professional (Divemaster or Instructor). The course includes shallow “confined” water and class lessons, two open water dives and the PADI Scuba Diver certification. Once you are certified as a PADI Scuba Diver and you’re ready to take the next step you can easily upgrade your skills and take your diving to a higher level – PADI Open Water Diver!